Four buoys mark the edges of the new marine reserve. 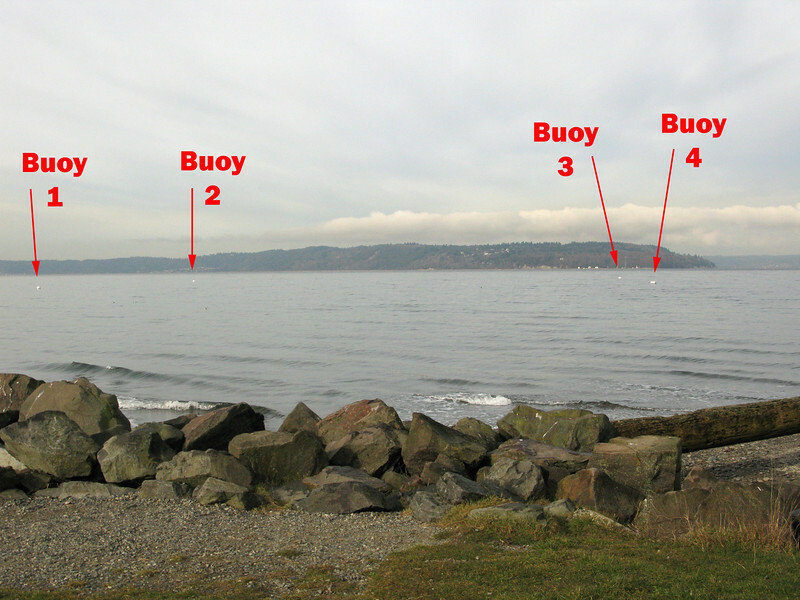 Buoys 1 and 4 are closest to shore, with 4 marking the northernmost edge. The swim took about 15 min, but we were fighting big waves and a bit of current.